I don’t know about where you are, but here it’s cold and dark. Two things that severely hinder my quality time with my main man. When it comes to keeping your best friend healthy and happy this winter season, there are a few must haves to put on your list! Heated Water Bowl – With Gunner outside while I’m at work (most days, unless it’s ridiculously cold like earlier this week) it is important he always has a fresh supply of water. This week I’ve come home to frozen water bowls each night – so this bad boy is on order. 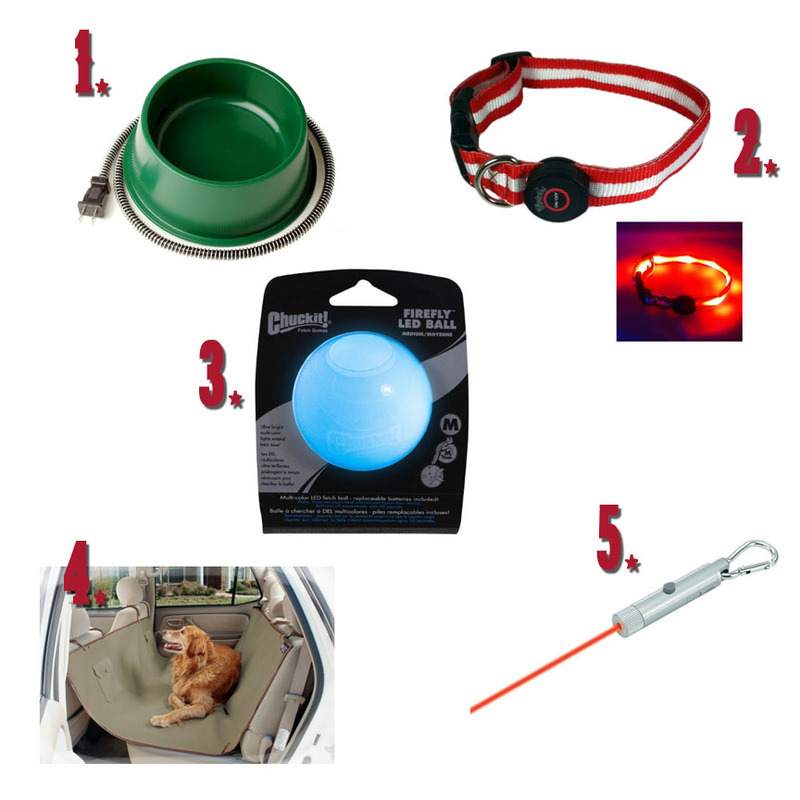 LED Dog Collar – It is dark by the time I get home from work. You read that right, by 5:45 it’s dark here, but I still need to take my buddy for a walk. For his safety (and mine) we make sure we are visible with this light up collar. It makes him look like a flashing Christmas tree and I love it. Hammock Car Seat Cover – Snow means wet and wet means mud. To keep your car seat clean in the winter months while transporting your pet, it’s always good to have a protective cover. I just ordered this one to replace my old one and it is GREAT! Laser Pointer - Sometimes it is just too cold and too miserable to take Gunner outside. My back up? The laser pointer. He (and the cat) will chase this around the house for hours, and it’s great entertainment for the human counterpart as well! 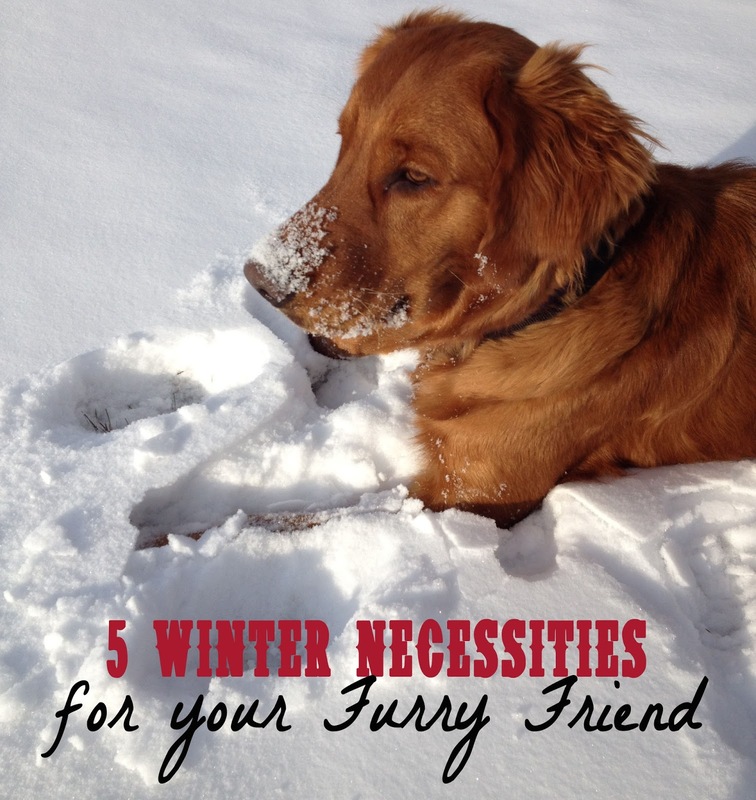 What are the cold-weather must haves you use for your pet? Please be sure to keep your pet inside during extreme winter weather! Keep them warm, safe and dry! 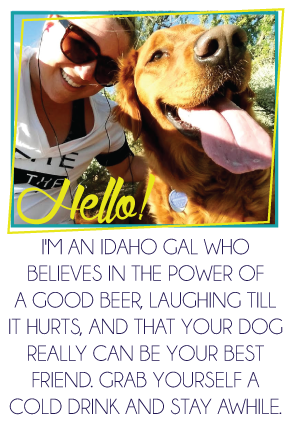 My former roommate had the sweetest Golden Retriever. What a sweet dog. Your pictures bring back great memories. that glow in the dark collar is too cool! my roommates dog kinda blends in with the dog run when it's dark, so I might have to get her that for christmas! !